The first "Klebstoff Bundle" is sold out and you can already buy christmas candies. It's about time we setup a new stickermag bundle. 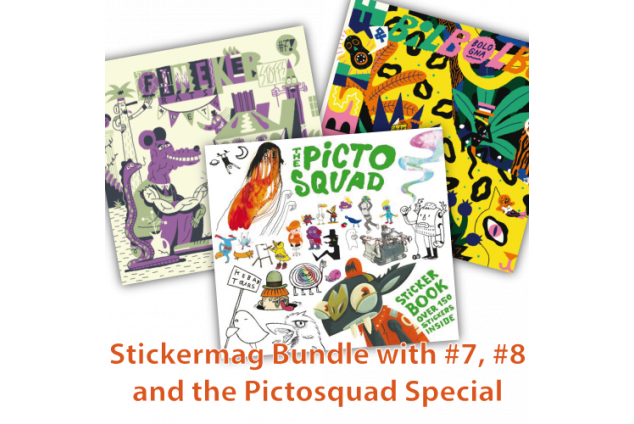 We stick Stickermag #7, #8 and the Pictoplasma Academy Special together, so you get a wonderful collection of stickers from all parts of the world. 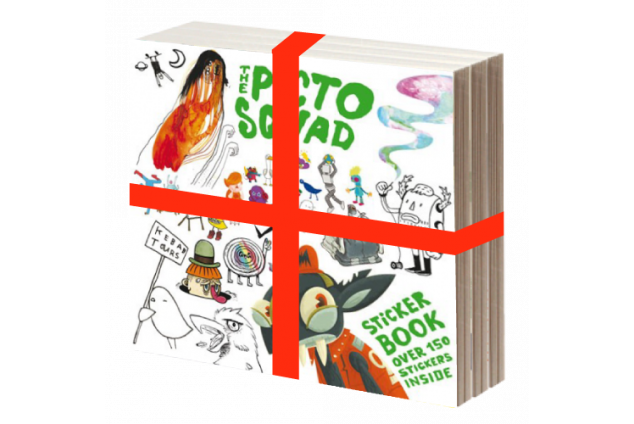 Edition 8 contains stickers from participants of the Comic Festival BilBolBul 2014 in Bologna/Italy. On edition 7 we worked together with famous artists of the Spanish "FineRats-Magazine". The Pictoplasma Academy Special is a limited edition with just 500 pieces worldwide. This special edition has more pages than a regular issue and was a feature for the 2015 Pictoplasma Exibition in Berlin. 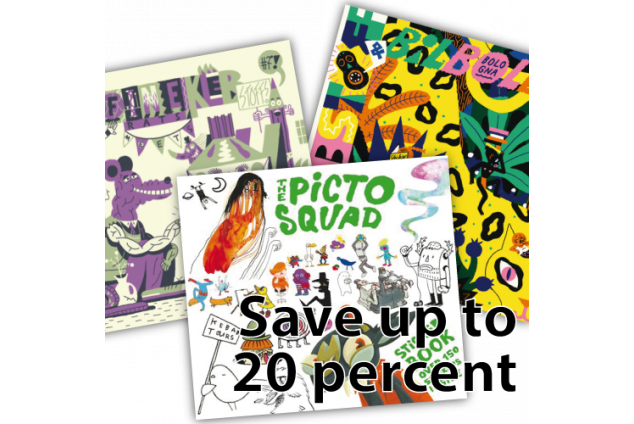 This are the lasts Mags we have, so better hurry up and be the first to get over 600 stickers of artists from all over the World and also save some money in comparison to retail sale.